Black Sharpie. I used black, but you can get creative and use a metallic silver or gold as well. 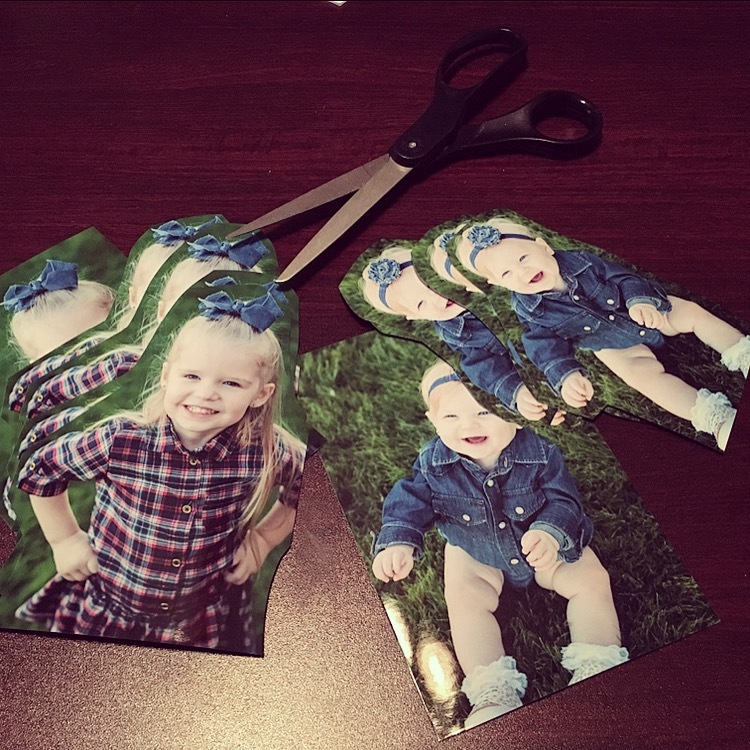 Cut around your little one in the photo, to make their silhouette pop out. 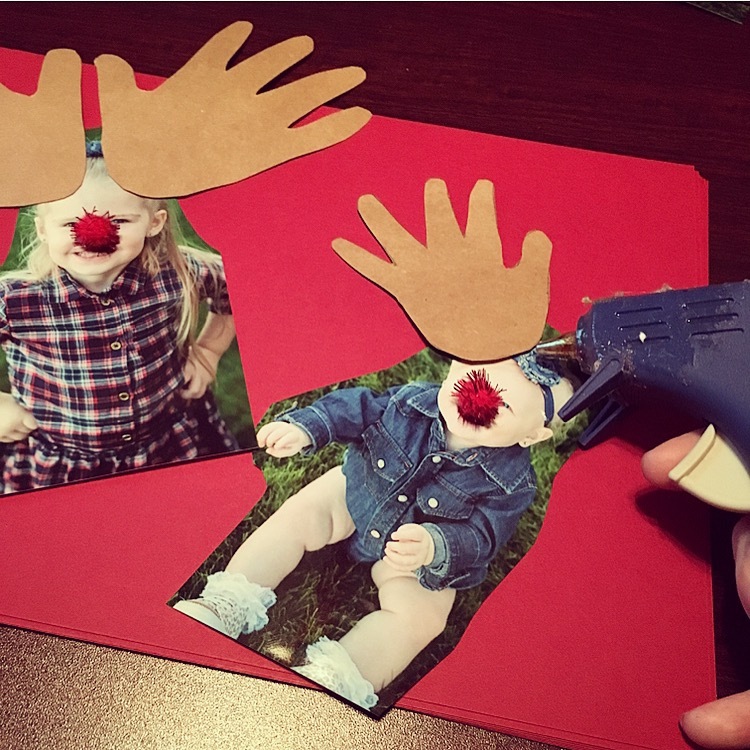 With a hot glue gun, glue the red reindeer nose on their photo face, over their nose and mouth area. 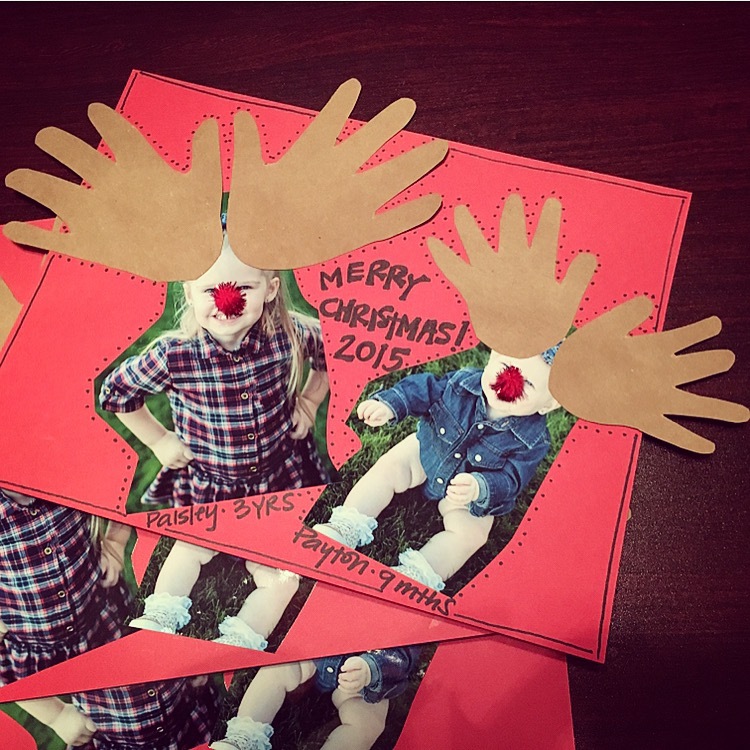 Trace each child’s handprint (x2) on the brown cardstock to make the antlers. 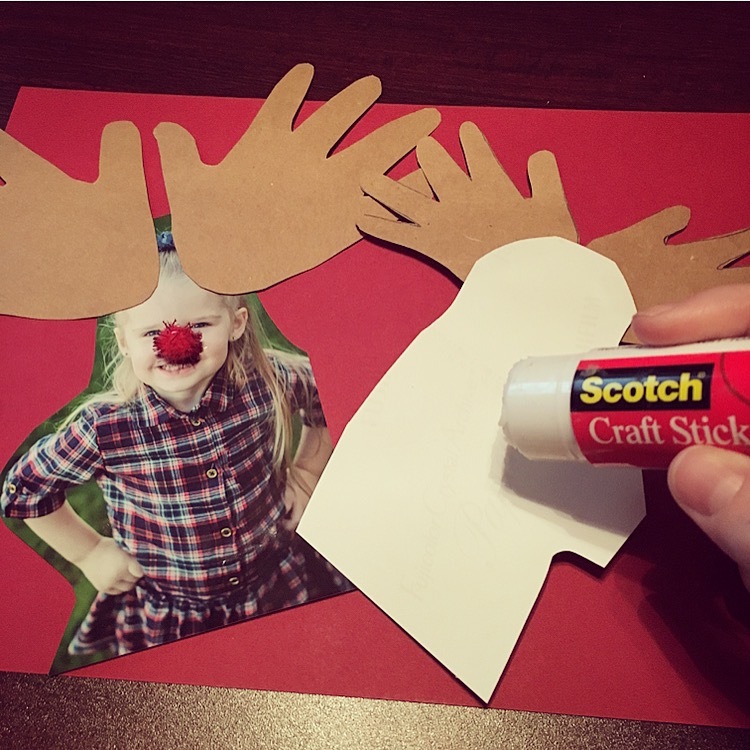 Using your hot glue gun, glue the antlers onto each side of the child’s head. 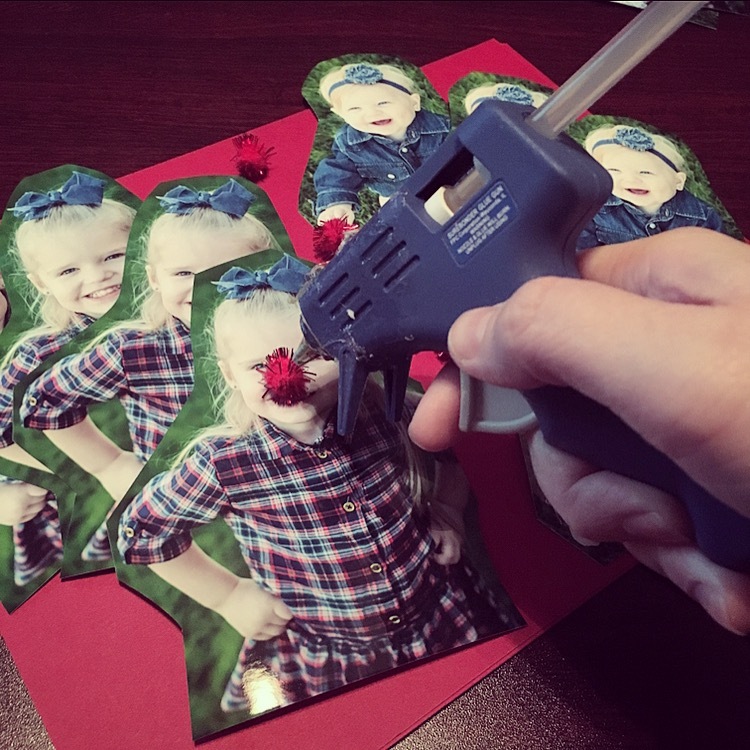 Space your little ones on the cardstock and with the glue stick, glue them on. Feel free to have fun with the placement, and if you have multiple children it’s cute to have them overlap. 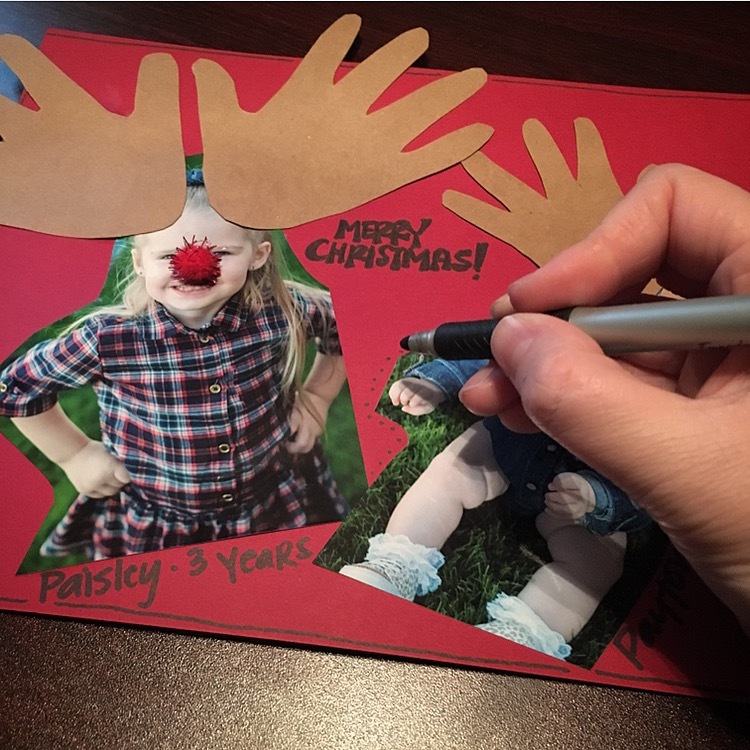 Once your little reindeers are glued on, fill free to fill the extra cardstock space with any saying or holiday greeting you would like. Cute quotes and details about your little ones adds a personalized touch. Ta-Da! You are done and you have fabulous gift for your loved ones. 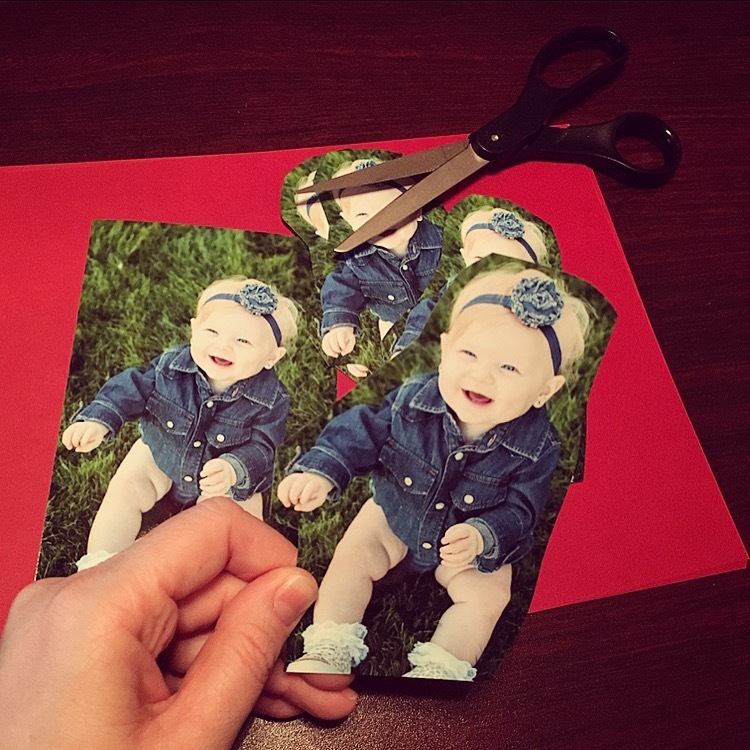 A great keepsake that is sure to bring a smile to their face! This craft is a great reminder that not everything you do needs to cost a lot of money or should require you to stay up all night crafting. I also love this craft because it keeps your little one’s involved in the process and it doesn’t involve paint or glitter! Merry Christmas, I wish you so much joy and happiness during this season. Enjoy your time with your family and always remember to put making-memories first! 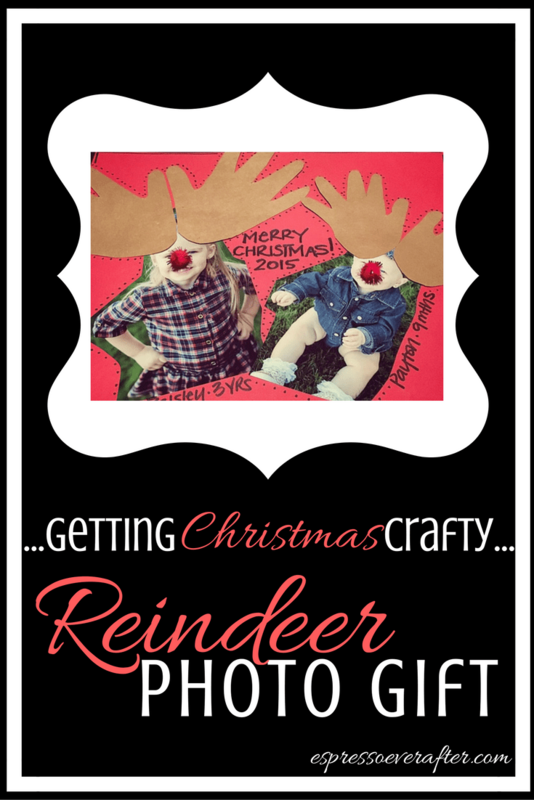 Click HERE for another easy-to-do REINDEER gift tutorial! Thank you Chelsea – They are so fun to make!